Please google "Ben Nemzer" for the best info! Although based out of Manhattan, Ben Nemzer is often flown all over the world to perform, because Ben's clients don't want to risk not having their guests 100% blown away! Whether you are booking a corporate holiday party or even a pool party, Ben is sure to complement the atmosphere of your event, connecting people through conversations about how astonished they just were. 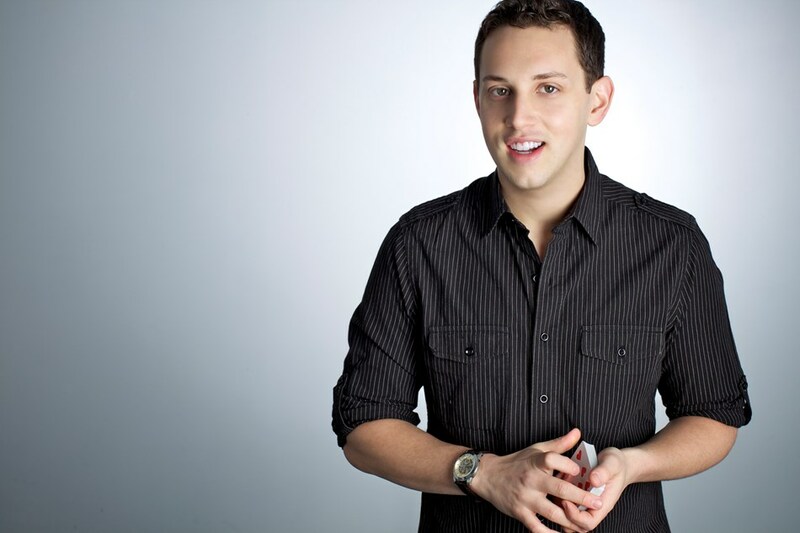 Ben's personable and fun approach to magic combines sophisticated sleight-of-hand with comedy and mentalism. He steals watches off of peoples' wrists without them noticing, bends borrowed coins in half, moves objects with his mind, changes playing cards with the wave of a hand and even reads minds! Often times people will hire Ben to do his strolling magic during the cocktail hour and then a performance for the whole group after dinner. He is also frequently entertaining for exclusive gatherings in the homes of Manhattan's elite. 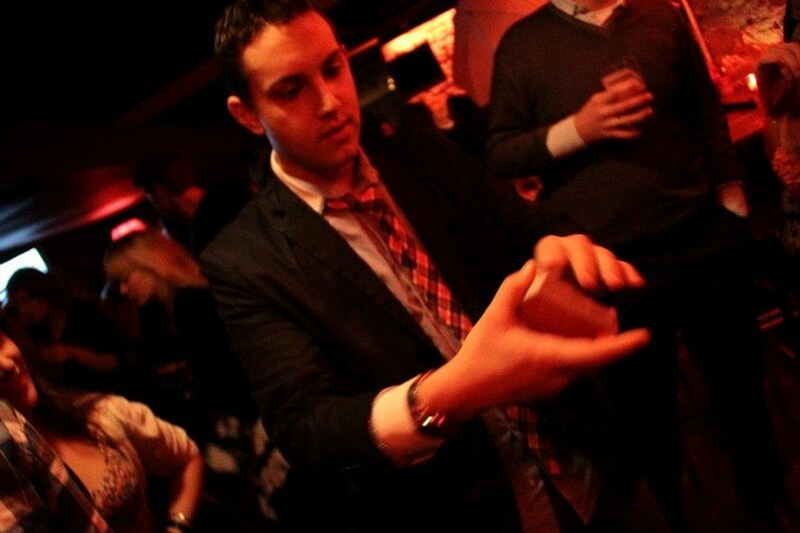 However, Ben is also great at creating customized magic to fit the theme or message of your event. Countless celebrities have raved about Ben, including: Martha Stewart, Jayden Smith, Yogi Berra, Rudy Giuliani, The New York Yankees, Oliver Stone and more. 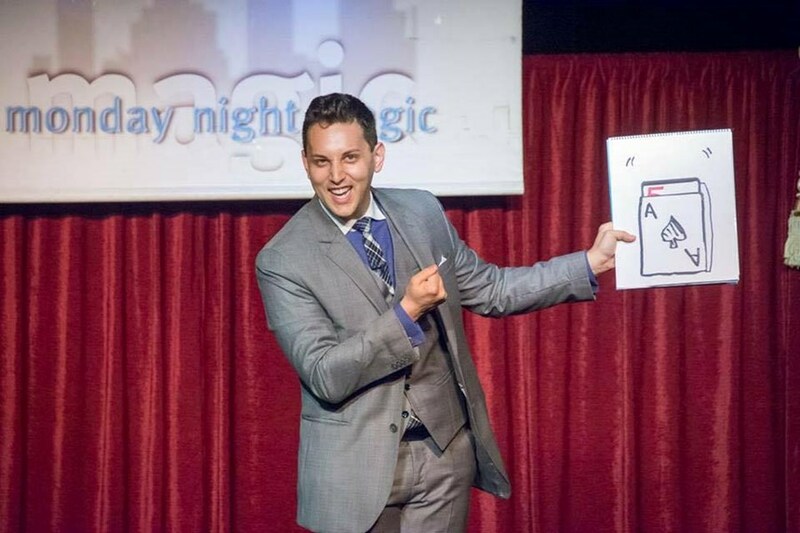 Ben has performed at the world famous Hollywood Magic Castle, on CBS, Discovery, Nickelodeon, Comedy Central, Howcast, Netflix, and more; He can regularly be seen in the Off-Broadway show "Monday Night Magic" as well as many other shows that are open to the public. Recently, Ben and his magical wedding were featured in a full page in the New York Times. Past clients include Goldman Sachs, Blackstone, Macy's, SALT Conference, American Express, Continental Airlines, NYC Department of Tourism, Bank of America, Victorian Garden Amusements, and many many more. Ben is fully insured, because he is a professional. Because most of Ben's work comes through trusted event planners, repeat clients, people who have seen him first hand, and persona; referrals, we understand any hesitancy you may have. Please inquire about speaking to the host one of Ben's most recent parties or ask for tickets to one of Ben's next shows, so you can book with confidence! So what are you waiting for? Request a quote today and someone will call you back! What a "class act!" Ben arrived earlier than expected looking very dapper. He made a point to show me and my hubby magic right away when he arrived, which was smart because I didn't get to see anything during the cocktail hour because I was busy with the photographer. I heard spattering applause from the other room though and rave reviews. We decided to frame the card my fiancée and I signed and keep it in our living room. He did a short show after dinner and I'm still a little freaked out. Seriously... Very very good. I give Ben the highest review possible! I'm sure we'll use him again, he's like part of the family now! Ben was on time, dressed appropriately, was great with the kids and I don't believe took a break the whole time he was working at our fair. I would absolutely have him back again. Ben absolutely blew our minds! He kept the kids and adults throughly entertained at Joshua's Bar Mitzvah. His sleight of hand and fun demeanor was disarming and a major highlight of the reception. Not only will he be back for our daughters Bat Mitzvah in two years, but I'm going to see that he entertains at my law firm's next holiday party. People are still talking about the trick he did with the money! Please note Ben Nemzer will also travel to Long Island City, Brooklyn, North Bergen, Bronx, West New York, Union City, Weehawken, Flushing, Fairview, Edgewater, Hoboken, Jersey City, Ridgefield, Cliffside Park, Palisades Park, Fort Lee, Secaucus, Ridgefield Park, Leonia, Englewood Cliffs.